Where did my Dharma go? I’m in a slump. Admittedly I am unwell, some kind of virus, low in energy and just generally blah. If you are a human, and have ever been unwell, I am sure you are well aware of what this feels like. So you tend to have idle time when you are unwell, when not sleeping, couch’ing or tv’ing, there is a spaciousness that comes with being unwell, and maybe even leads you to reflect on what it is you have been doing when you were feeling on top of it all. That’s me, right now, unwell and contemplating what has been unfolding in my life. And something I have been pondering a lot lately is the experience of Dharma, the journey or path, your calling, vocation, the specific set of skills, talents and traits that are uniquely yours and you get to share them with the world at large. In looking at these words, something for me immediately revealed itself, and that is, as long as I can remember, I have made my hobbies into jobs which I desired to become careers. Without even touching on Vocation, let me explain what I mean by that. Since a young age, I have LOVED dance. I went to my first dance lesson at the age of three, and even though had breaks, pretty much did some style of dance up to the age of 30yrs. With dancing my passion, hobby, purpose for living kind of thing, I proceeded to teach dance for 10+ years, making it my job and career. I would choreograph, teach, perform, and although I loved it, there was an element where because I relied on it for an income, some of the passion started seeping out. So I changed, drastically. I used my training in the Youth Sector, and headed up to a small town in WA called Laverton. I did a 12mths Indigenous Youth OfficerÂ role and it was really nice having superannuation, holiday pay, sick leave, etc. Yet, the responsibilities of this JOB was overwhelming. The needs of the demographic I was working with left me feeling despondent about life in general, no matter how much funding was raised or how many amazing activities were offered, there seemed to be no end to the problems and challenges that the community faced, which as a sensitive, artistic type, this job which was a career for 12mths, was holding my life force captive. So I left, returned home to Melbourne, and got back into the job that I was good at, teaching, moving, instructing. Into the land of Group Fitness I fell, and this was a perfect fit. I now had a job that allowed me a lot of free time to pursue hobbies and passions, and at this stage of the game, is where Yoga stepped in. Now Yoga, I thought was my Vocation. I felt a strong calling to this art form of movement. I didn’t initially see it as a job or career, but more of something larger, and the more training I did, the more I was tapping into something that was significantly different to the experience of a Job. But, like anything, the more time you spend with an experience, the more you maybe take it for granted. I realised that by turning my Vocation into a Job, ie the way I earn money to pay my bills and exist in this material world, the more there was something that started to fall by the wayside, an experience that seemed like this sacred offering, wasÂ now becomingÂ just a way to get by, a way to pay the bills. So I am in deep reflection about all this, our hobbies – what we do for pleasure with no expected outcome. Our jobs – what we do to pay our bills and get by in life. Our careers – jobs that we are willing to invest more time into than is financially returned to us because we believe in the road it heads down. Our vocation – a greater calling, a whisper from the universe that reminds us of our gifts and talents and calls them forth into the world to be utilised for the greater good of all. And I ponder, where am I at with the experience of teaching Yoga? 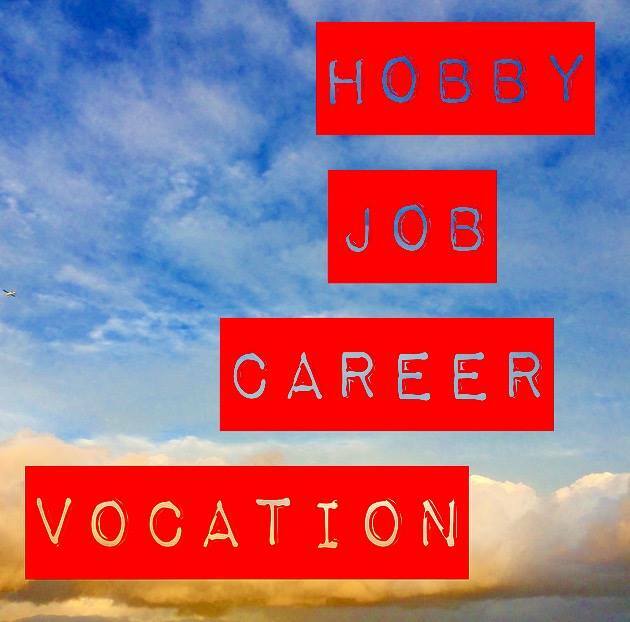 Is Yoga my hobby or my vocation? Is it inappropriate to call it a job or career? What happens when you are in a creative industry, offering weekly inspiration, yet the inspiration within yourself is conflicted? I know one thing for sure, that I believe 100% in the healing industry. I believe that I have gifts and skills to offer this industry and IÂ feel integrated as a person, offering benefits to the community at large through the experience of yoga. It is usually at this point in one’s journey that reflection is vital. CharlesÂ Du Bos Â says -Â The important thing is this: to be able, at any moment, to sacrifice what we are for what we could become. So I ponder, what am I in this moment of my life as a Yoga Teacher. What could I become in this experience? What am I willing to sacrifice, what way of being no longer serves me? Join me this week in classes that will open us wide to this question of this becoming. This revealing ourselves to ourself in a more intimate way, allowing for the conflictions and passions to reveal themselves simultaneously. Another offering I have is the Walk Your Royal Path Yoga Retreat at Sanctuary, Mission Beach. AÂ week of exploring these questions together. Using meditation, asana, chanting and inquiry, stepping out of the world we are familiar with, and heading back into the heart of nature, contemplation at it’s best.